"The latest from TBC Theatre is a tour de force of interactive theatre." "‘Mr. Naismith's Secret' is an experience that I will remember for years to come." "Beautifully staged, beautifully designed and beautifully performed; a strikingly contemporary imagining of a modernist classic… The sexuality, tension, and denial smoldering under the surface of Williams’ words are all brought to centre stage as the characters act out their emotions, desires, and fantasies for all to see." The Age / SMH - 15/11/2015. "Classics like 'The Glass Menagerie' or 'A Streetcar Named Desire' didn't leap fully formed onto the stage; they were first sketched out as one-act plays, and Project: Hysteria, the first show in the inaugural Poppy Seed Festival, brings us two short works that came out of this process… Excellent." "Fierce… Tremendous… Powerful… Such dedication to the craft from both cast and crew provides a thoroughly entertaining evening. It’s more than enough to introduce anyone to Williams’ work, reminding us why we shouldn’t just read the classics—we need to see them performed." "First in line for the inaugural Poppy Seed Theatre Festival this November/December is a Tennessee Williams feast… the umbrella title Project: Hysteria was inspired by a quote of Williams himself. ‘He says he loves the broken ones. The ones on the verge of hysteria, who seem weak and aren’t loved, but really they’re the ones that are the strongest’." BEAT Magazine - Nov 2015. Auslan Stage Left Blog - 19/10/2015. "Ilana from Auslan Stage Left spoke with producer and performer Fleur Murphy about her upcoming show with TBC Theatre, ‘Project: Hysteria’. Read on to see what Fleur has to say about her theatre journey, the work of Tennessee Williams and the resilience of independent theatre makers." Listen to the full SmartArts podcast interview with director Alice Darling and performer Trudi Boatwright as they chat with host Richard Watts. "The three actors worked together in an almost perfect harmony that was beautiful and convincing...This kept the audience engaged and entertained throughout the entire piece, and made us feel a part of the world. One of the best displays of teamwork I have seen…I thoroughly enjoyed this show… It’s definitely worth going to see these three brilliant actors in action! " "DON'T MISS IT! … Smart, witty, engaging well paced and executed dialogue amidst the sometimes humorous scenario of the criminal underbelly of Dublin. It'll hold your attention… I'd definitely recommend you experience it for yourselves." The Theatre Nerd - 27/10/14. "Wonderfully descriptive and carefully and meticulously executed, Shadows of Angels will leave you with a chill and a deeper understanding of these dark women of our past." SYN 90.7 Radio Interview - October 2014. "Tall and solid, I am a strong woman, neither feminine nor masculine. Some people don’t know where to put me. This includes directors. From being cast as males since drama school, I’ve had a world open to me that very few get to experience: the joy of stepping into another gender’s shoes." "OOOOOO MYYYYYYY GAAWWWWDD!!!'. Everything was so perfect, faultless, mesmerising and riveting, it engaged me completely." 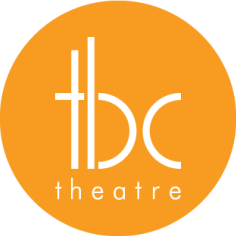 "TBC Theatre in partnership with the National Trust will present a theatrical experience that will draw you in and hold you captive. Performed at the historic City Watch House, you will be immersed in their stories and feel like you are back in 1920s Melbourne..."
Sydney Morning Herald - 07/09/2014. "The exuberance and camaraderie between the collective members is palpable in their excellent timing and generous performances… and makes TBC an exciting and promising new presence in the Melbourne theatre landscape." "The ensemble cast play a variety of characters across the ages, and in a rare occurrence, each member of the cast held their own to provide a true ensemble performance… a thought-provoking and entertaining experience."